We all have that person on our list that seems to have everything. We wonder the malls trying to find something they actually will use. Choose from any of the I.D. Works multitools from Columbia River Knife & Tool (CRKT) and odds are you have a winner. 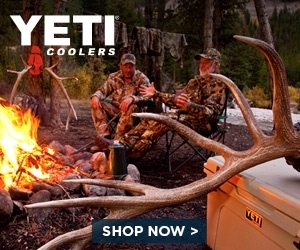 Are they into hiking, camping, rafting, biking, paddling or just fiddling around the house? If so, CRKT has a stocking stuffer sure to make them smile. We tested them out and here are our favorites. 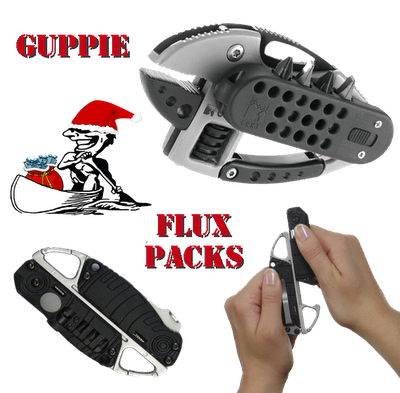 The Guppie is a hybrid carabiner incorporating a Razor Edge Knife, Adjustable Wrench, Bit Driver and LED Flashlight that clips to just about anything. The Flux Packs have a number of interchangeable components that make this one of the most versatile tools ever created. The spring assisted carabiner chassis holds any two of the Flux tools. Choose from a Plain Edge Folding Knife, LED Flashlight, Wine Tool kit, 2 GB Micro SD Flash Drive or a Hex Bit Driver to make their perfect combination.